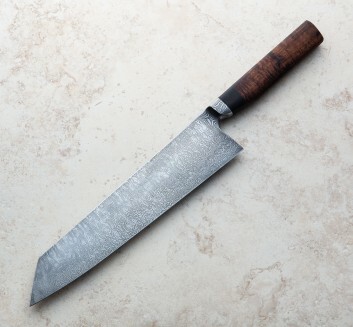 Nick Anger creates renowned precision-forged chef knives at his shop in northern Vermont. 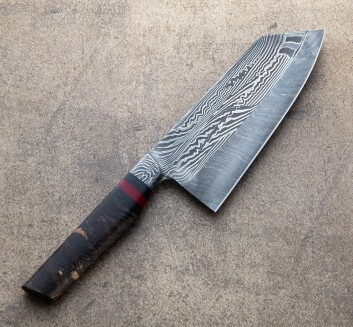 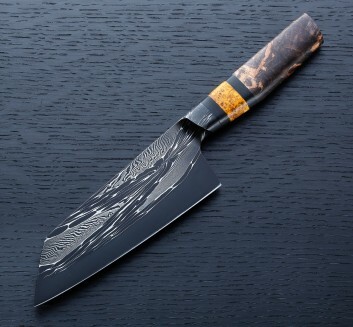 Often employing his own custom damascus, whether formed from folded and twisted carbon steel bars or from ball bearings and powder steel, Nick is continually experimenting and pushing the boundaries of metallurgy in relation to high-performance kitchen knife blades. 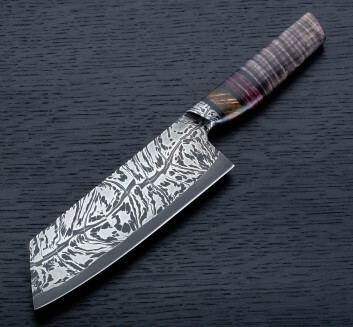 The forging process itself, followed by his heat treatment, quench and tempering is done in a tightly controlled multi-step process honed for the steels he makes and uses. 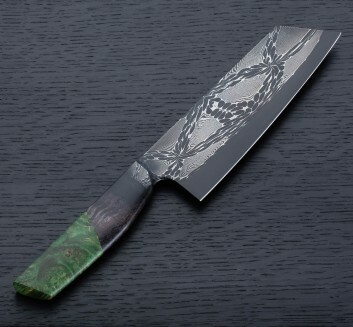 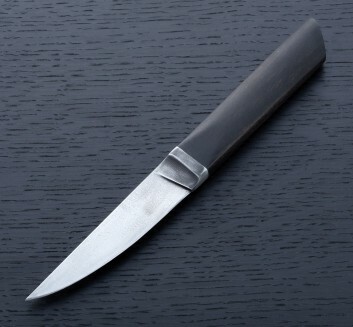 From the smallest paring knife to his gorgeous boning knives and the largest full-size chef blades, integral construction is Nick's preferred configuration, with recognizable and remarkably elegant curves and angles defining the bolster where the blade meets the handle and providing a unique aesthetic element that speaks to his eye for captivating three-dimensional forms.